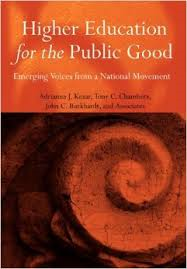 As we end this month, with our blogs on a big, amorphous topic like the “common good,” I thought it might be helpful to do some further reading on the topic. I’ve found five books that focus specifically on higher education and the common good that I want to read, so I thought I’d share them with you, along with a brief description of each. In his book, Lambert examines a range of developments related to the “privatization” of public higher education in the United States, including increasing institutional autonomy, higher tuition, diminishing appropriations, alternative revenue sources such as philanthropy and new business ventures, and modified governance relationships. These developments, in turn, have resulted in an uncertain future for public academic institutions across the country, posing unprecedented questions and challenges for them. 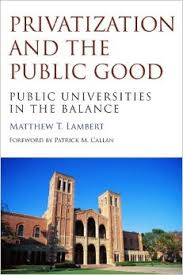 Through a wide-ranging analysis of the current situation and detailed case studies that focus on prominent public universities, Lambert provides a panoramic account of the challenges faced by public institutions. 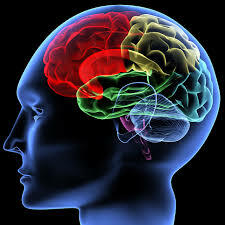 Higher education is likely to involve the majority of people at some time in their lives in the twenty-first century. The main drivers of expansion in the previous century were a belief that widening access promotes social equity and the advance of knowledge as the main factor underpinning economic success for individuals and societies. However, universal higher education in rapidly changing economies raises many questions. This volume focuses on the question of whether it is appropriate and inevitable that higher education systems are becoming so large and so diverse that the only realistic way they can be analyzed is as aggregates of market-like transactions. 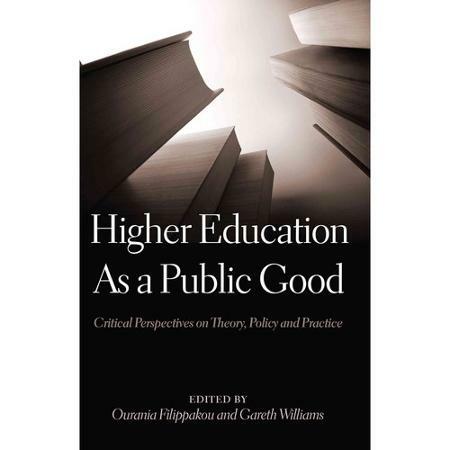 Most of the authors are not satisfied with this conclusion, but they recognize, from several disciplinary perspectives, that it is no longer possible to take it for granted that higher education is intrinsically a public good. 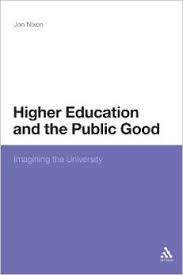 In his book, Jon Nixon argues the necessity of higher education as a public good, defining the institutional spaces necessary for sustaining these public goods and ensuring that they flourish. He addresses the effects of three decades of commercialisation, commodification, competition and classification in higher education. Lastly, Nixon articulates a vision of higher education as a public good — a site for the development of human capability, reason and purpose. 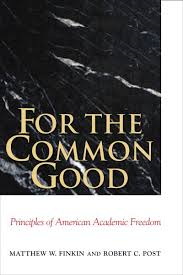 This book offers a concise explanation of the history and meaning of American academic freedom and it attempts to intervene into contemporary debates by clarifying the fundamental functions and purposes of academic freedom in America. Matthew Finkin and Robert Post trace how the American conception of academic freedom was first systematically articulated in 1915 by the American Association of University Professors (AAUP). The authors discuss the four primary dimensions of academic freedom: research and publication, teaching, intramural speech, and extramural speech. They carefully distinguish academic freedom from the kind of individual free speech right that is created by the First Amendment. The authors strongly argue that academic freedom protects the capacity of a faculty to pursue the scholar’s profession according to the standards of that profession. This book explores the various ways that higher education contributes to the realization of significant public ends and examines how leaders can promote and enhance their contribution to the social charter through new policies and best practices. It also shows how other sectors of society, government agencies, foundations, and individuals can partner with institutions of higher education to promote the public good. Higher Education for the Public Good includes contributions from leaders in the field many of whom participated in dialogues hosted by the National Forum on Higher Education for the Public Good. These leaders are responsible for creating successful strategies, programs, and efforts that foster the public’s role in higher education. What have you read on the common good that you would recommend? And what is currently on your list of books to read? One of the hardest parts of working collaboratively towards the common good is listening carefully to other people’s viewpoints, even when they don’t agree with mine. Without trying to understand, I can’t know what the common good might look like or create strategies to get there. I recently re-read a blog post from Harvard Business Review that reminded me why this is so hard. As the author said, our brains are “hooked on being right.” In high-stress situations, such as those that occur during high-stakes collaboration around complex issues, we are hard-wired to avoid the discomfort of being wrong. Todd has written about David Rock’s SCARF model describes five social needs: status, certainty, autonomy, relatedness, and fairness. Being perceived as wrong can generate threat responses to many of these needs. On the other hand, building productive collaborations can generate reward responses. We’ve all been part of teams where we felt like a valued member of the group and believed we were making a difference. When that happens it frees our mental energy to focus on others. What strategies have you seen that create environments where people feel safe enough to engage in difficult conversations and solve complex issues in order to promote the common good? Wait a minute! Most of the business and leadership literature published in the last couple decades extolls the virtues of collaboration in our workplaces. 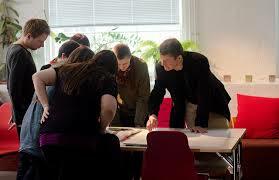 And it seems that collaboration is the new mantra among leaders in higher education, with leaders admonishing staff and faculty to “move out of their silos” or “create cross-disciplinary or cross-campus partnerships.” Yet, as Richard Hackman observed, collaboration does have its limitations. Like other paradoxes or polarities that we manage in our workplaces, like change and continuity, collaboration is best seen as one part of a polarity between competition and collaboration. Both have its own benefits and limitations. As leaders, our role is often to determine where is it most advantageous to employ collaborative efforts and where might we employ competitive efforts. How have you managed the collaboration vs. competition paradox in your work? I think Parker Palmer has hit the nail on the head. What often holds us back from working toward the common good is our inability to work collaboratively together. Whether its in politics, the communities where we live, or the organizations where we work, I’ve observed that it’s easy to fall into a trap of blaming. 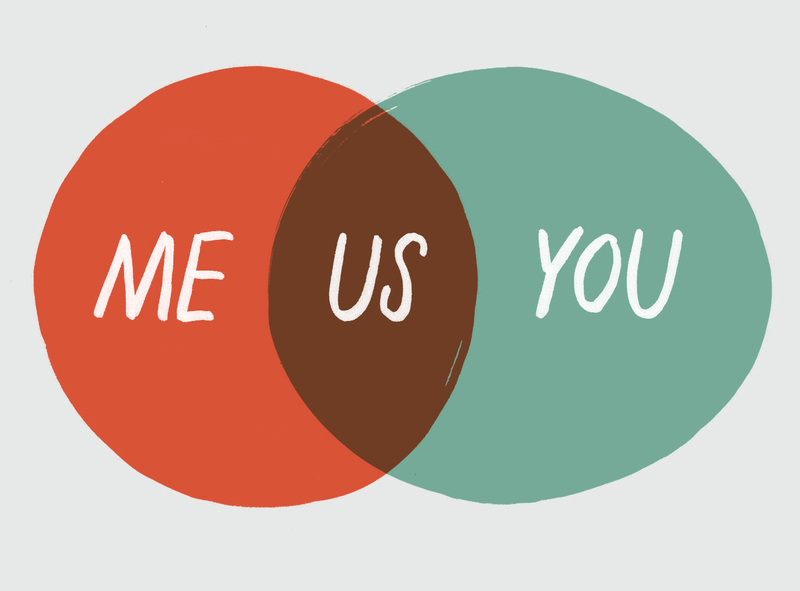 We talk about us vs. them, rather than working together with those whom we disagree or those who have competing interests with ours. It is so much easier and quicker to vent or complain about other people, departments, etc., rather than to take necessary leadership to reach out to others with whom you disagree and work toward collaborative solutions. I have to admit that I’m human too and have fallen into this particular trap. What do we all fear? While individuals may have differing beliefs and values that often hold them firmly in their position or viewpoint, establishing common ground can point the parties to a shared goal. While it may seem overwhelming to begin solving the problem of highly polarized political parties in our nation, I challenge you to look around in your workplace or your local community. Where do you have influence to change the us vs. them dynamics and find common ground? *Approach adapted from The Center for Integrative Leadership, University of Minnesota and Polarity Management Associates. I am confident that if I asked all the readers of this blog, “do you focus on the common good of your organization?” the overwhelming response would be, “Yes!” The reality is that most of us believe our actions contribute to the common good, and we are trying to look at our organization as a system. Yet over time many well-intentioned actions can actually end up in conflict with the mission of our organizations. How can that be? 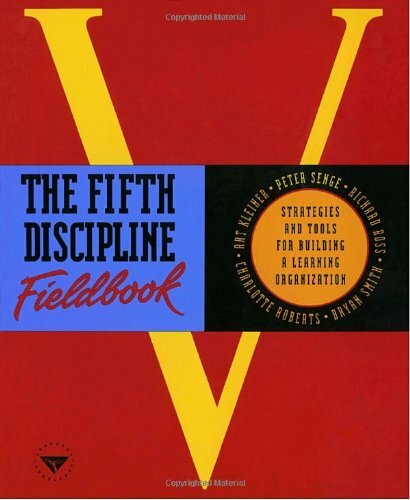 Peter Senge, named “strategist of the century,” answers this question in his classic book, The Fifth Discipline Fieldbook. Many of you may remember (or have nightmares about) the loops and diagrams used to illustrate systems thinking. Senge encourages leaders to use archetypes, or common patterns of behavior, to diagnose why we get unexpected results that don’t support the common good. You can find detailed descriptions of archetypes on pages 121-161 in the fieldbook. I want to highlight the three that best describe the organizational challenges leaders face and potential actions to take. I still have a love/hate relationship with the loops and diagrams but the ideas and actions Senge shares provide insight time and again when addressing system issues. Focusing on the common good is much more complicated than simply focusing on my needs and my immediate workplace. As leaders, the choices we make in our workplaces will likely impact people in different parts of the organization. Effective leadership for the common good requires systems thinking. According to this systems thinking web page, traditional thinking is about analysis, which literally means “to break into constituent parts.” As leaders we are taught to look at our goals and the steps we need to take to get there. 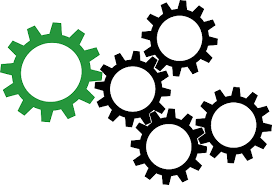 On the other hand, systems thinking looks at interactions among parts, focusing on how the parts fit together with the interrelationships that are influencing outcomes. 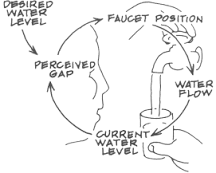 Systems thinking requires attention to different levels of interaction. Contributions to the common good are made by individuals, teams, and organizations, and within and across sectors of society. Here are some leadership questions to consider at each level. How can I understand more about the common good? What responsibility do I need to take? How can I be accountable for my own action steps? 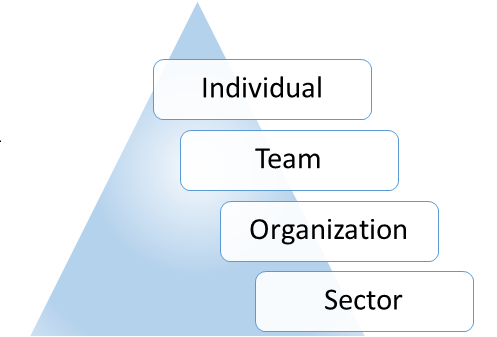 Where do our interests align with team and organization goals? How can we promote the common good, even when it may not be in our best short-term interest? How will our actions affect other groups? How can we promote communication and collaboration? How do our mission and values align with the common good? How have our past actions led us to where we are now? How do our interrelated teams work together? Where are there relationships among teams that we may not have identified yet? Do organizational decision-making processes allow for cross-unit collaboration? What role does our organization play within higher ed in our region? Our state? Nationally? Internationally? How does the educational sector interact with business and community interests? What long-term contribution does higher ed make to the common good? How do we play that out day-to-day? Working across levels and paying attention to how our actions influence others is complicated, but it’s worth the effort. Understanding how related systems work together and influence each other can help us take a more intentional role in promoting the common good.